Lord Krishna is believed to be an incarnation of Lord Vishnu. Shrimad Bhagwat Gita has described the six personality traits of Lord Krishna which we can also teach our kids – wisdom, dispassion, dominion, might, glory and, splendor. 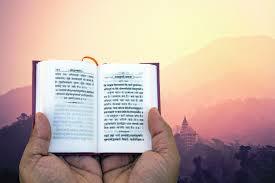 Lord Krishna and the 700 verses of Bhagwat Gita are a storehouse of knowledge. He is an inspiration for all of us. He played numerous roles from a naughty child, a visionary, a leader to a trusted confidante. 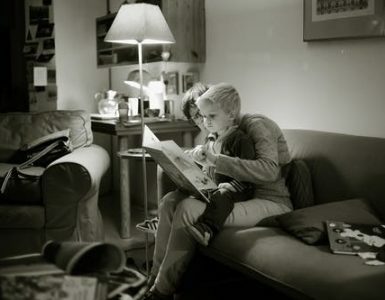 It is said that wisdom comes with age but we can help our kids to live with wisdom far before they get old. Teach your kids to stop and think as Krishna did during Mahabharata. Teaching them self-control to slow down before taking any decision is half of the battle won. Once kids will learn to stop and think, they can check themselves against any behavior. Be a role model for them and do not rush your decisions without giving it a thought. Teach your kids to make good decisions by thinking clearly and not influenced by emotions or desires. Be calm, reasonable and impartial. Desires come and go, do not get driven by your desires. The key to happiness is the reduction of your desires. Gita is all about Karma Yoga (Yoga of Action). Follow your actions, success will follow you. Lord Krishna’s most important and popular teaching was the concept of karma. 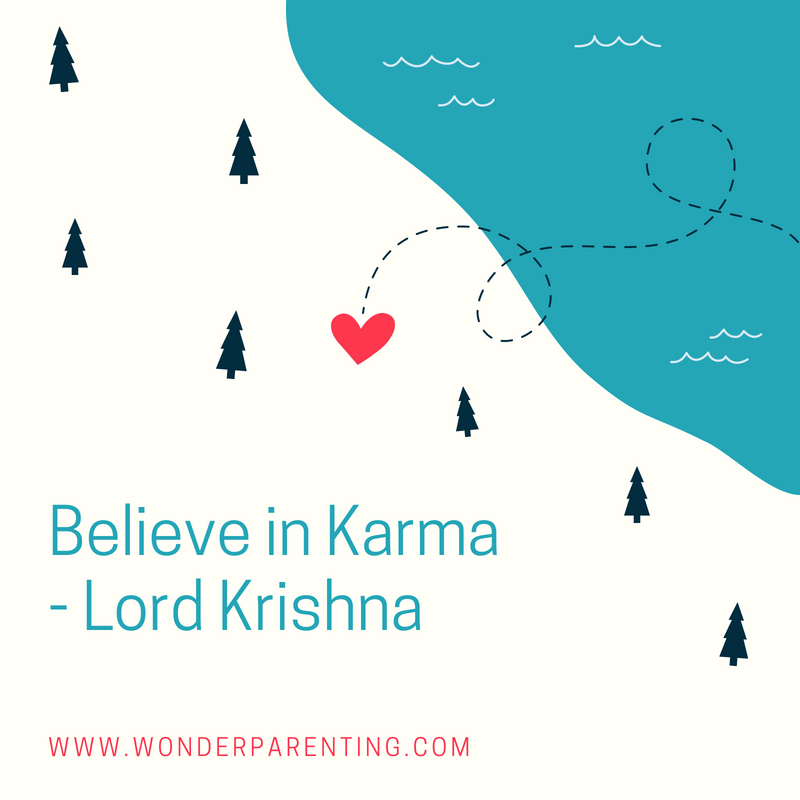 According to him, believe in your karma (action) and do your karma. Do not divert your focus on the end result and lose concentration. Put in your 100% efforts and success will follow you. Always follow the path of truth. Truth is in our heart. According to Lord Krishna, there is a fight between divine (truth/real) and demonic (lie/unreal) qualities. The enemies are desires, anger, and greed which follow us when we choose the path of unreal. To hide one lie, we keep on speaking lies to cover it. So, instead of speaking a hundred lies, speak one truth. According to Lord Krishna, the world is governed by a supreme power that is ‘Almighty’. So believe in the Almighty and whatever happens, it happens for good. There is no point in crying for the past and worry about the future. So, live the present moments happily. 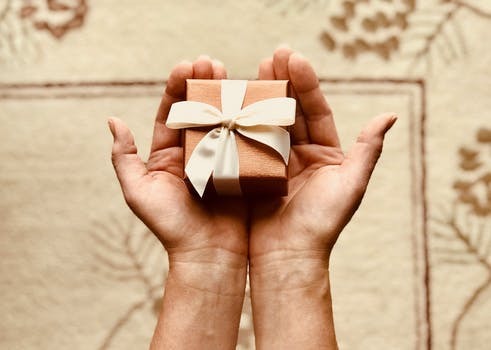 Take your present as a God’s gift. Without meditation, you will not be able to uncover the truth and without truth, there is no end to sufferings. 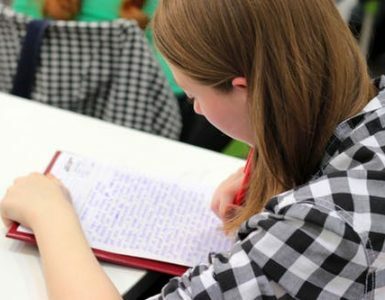 So, to meditate you need to develop the ability of concentration. Meditation brings fulfillment in our life. It cleans our mental toxins. According to Gita, the main purpose of meditation is to attain self-purification. Krishna was confident enough to win the Mahabharata battle. Believe in yourself and keep on putting your efforts. You will definitely achieve your goal. Lord Krishna continued his absolute dominion over all that exists in creation and confirmed his supreme power. He ruled over and took all the responsibility of good and bad during the battle. Lord Krishna justified the concept of an ideal friend by showing humility towards his childhood friend Sudama. One can achieve the highest state of the spiritual union by responding to the joys and sorrows of others. An ideal teacher has always been an ideal student once in his life. Lord Krishna was the one who practiced what he preached and preached what he practiced. 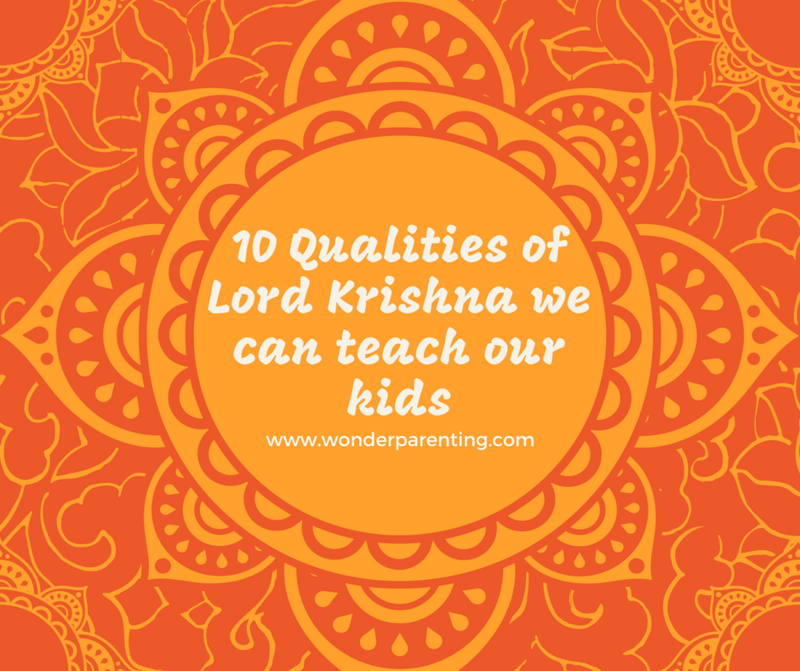 Have more qualities of Lord Krishna to add to the list that worked for you and your child? Please share with us in the comments section below. Wish you a very Happy and Spiritual Parenting!